Autoblog rating for the BMW X5 is not available. Please check back later. Is Better Than Ever Still Good Enough? By now, all but the staunchest of traditionalists have moved past the shock and horror of seeing their favorite automotive brands branching into categories and segments that break with their previously accepted norms. 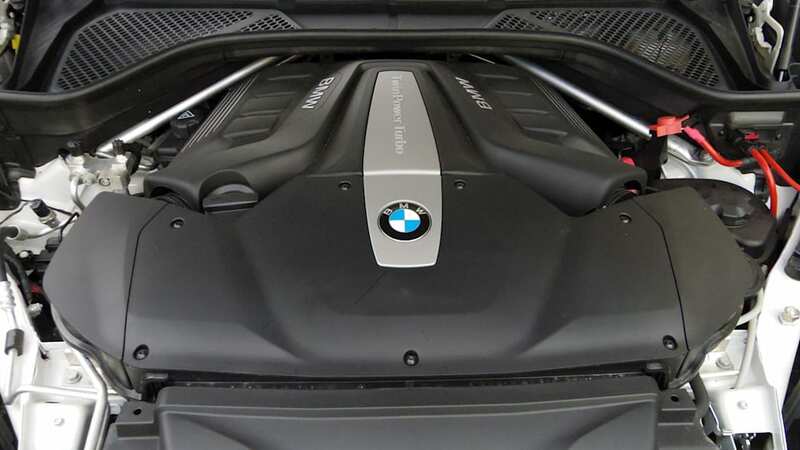 In other words, you and I don't really care all that much if the BMW M3 is powered by an inline six or a V8, or whether it boasts a turbocharger, just so long as the end result is an awesome car. Similarly, we don't get all hot under the collar seeing that same M3 share space on the showroom floor with a brace of SUVs and crossovers... or, as BMW continues to insist, Sports Activity Vehicles. 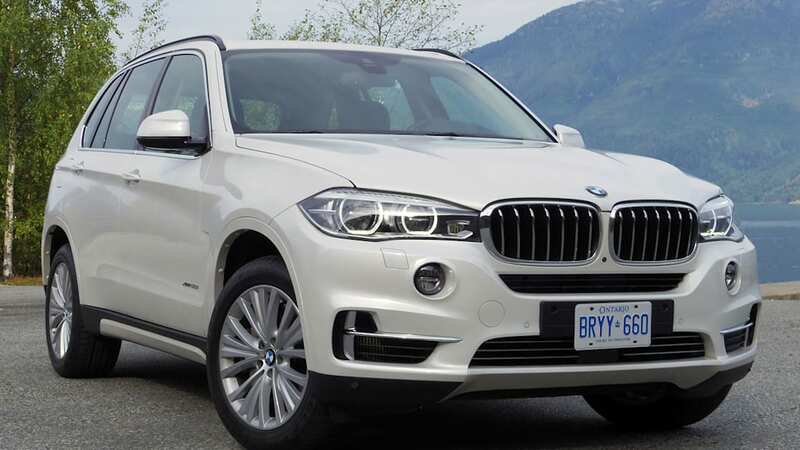 Time, as they say, heals all wounds, and the BMW X5 has been around long enough, having first seen the light of day in 1999, that anyone offended by its existence has since gotten over it. 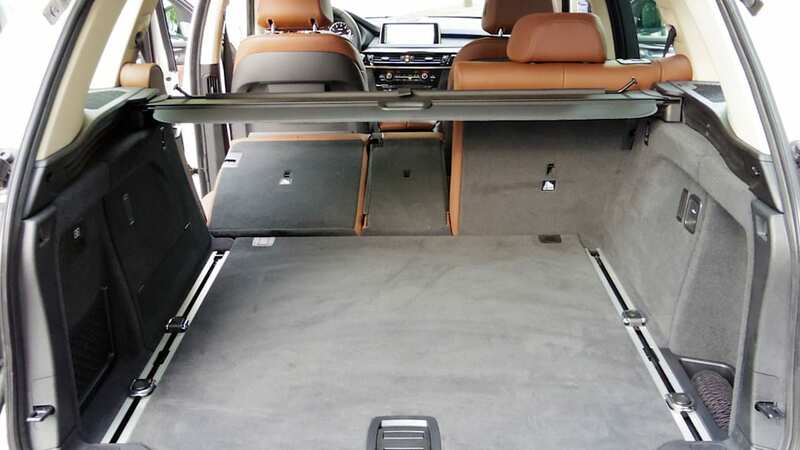 Plus, the X5 is a legitimately nice vehicle to drive, offering such desirable qualities to family men and women as seating for up to seven, all-wheel drive and a commandingly tall view of the road. 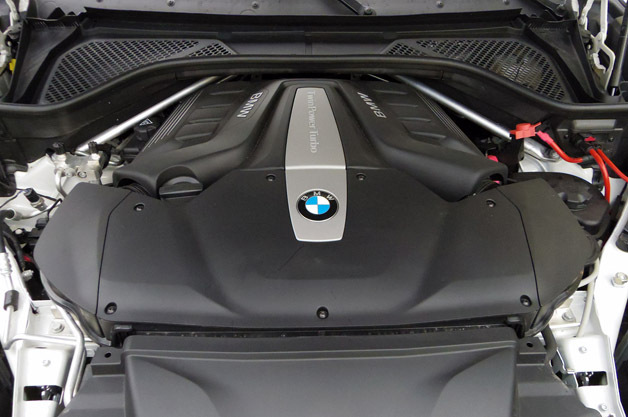 For the enthusiast set, the X5 serves up a taut chassis and powerful engine options. 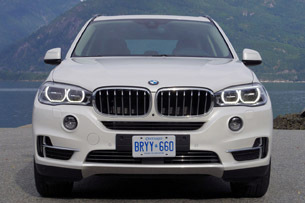 Up until now, BMW has done a very good job combining these two seemingly disjointed paradigms – SUV-like utility and pleasing driving dynamics – better than any of its rivals, which include similarly sized utility vehicles from each of the big German brands, plus Acura, Lexus and Infiniti from Japan. The Americans, too, play in this space, though with perhaps a bit less overall prestige from nameplates like Cadillac and Jeep. Suffice it to say that a premium sport utility buyer has plenty of options from which to choose. 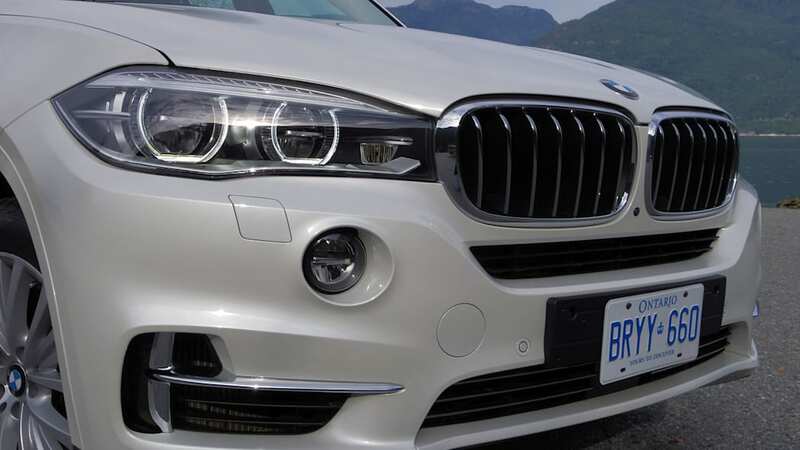 We traveled to Vancouver, BC to see for ourselves if BMW has managed to maintain its lead in the luxury crossover race with this redesigned 2014 X5. 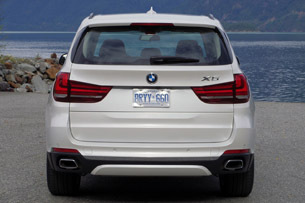 There's no doubt that the latest X5 shares a bloodline with the automaker's previous-generation model. BMW chose not to upset the apple cart too much for 2014 in terms of styling. 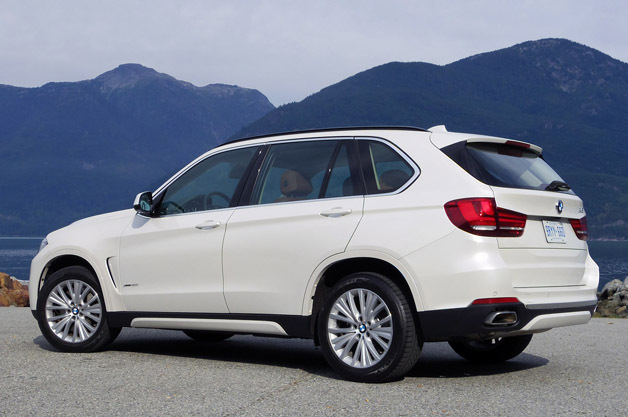 Although every surface is newly sculpted, there's no doubt that the latest X5 shares its main bloodline with the automaker's previous-generation model. The changes that have been made, fortunately, are all improvements to our eyes. 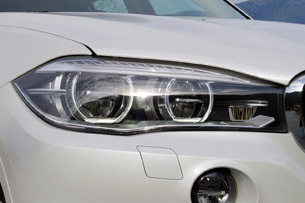 Starting at the front, BMW's expected twin kidney-shaped grille openings form a triangle of sorts with the front foglights, which are inset into the fascia. 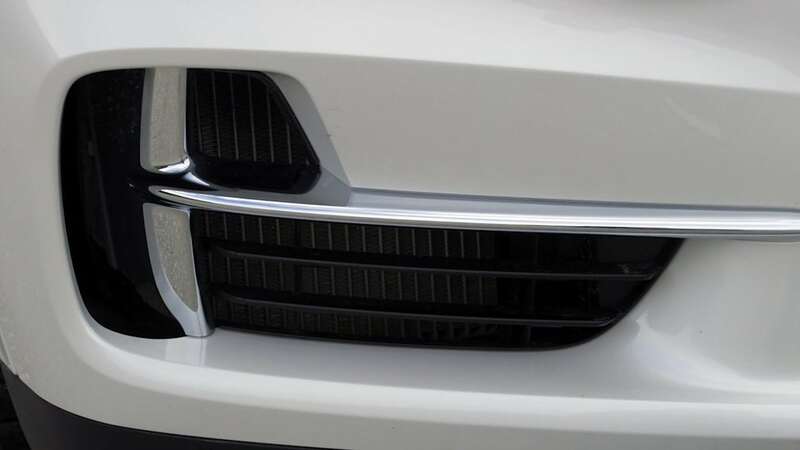 On either side of the grille are headlight clusters made up of two mostly circular corona-ringed lamps highlighted by a row of LED accents at the top. It's a recognizable face, but one that is newly muscular in appearance. 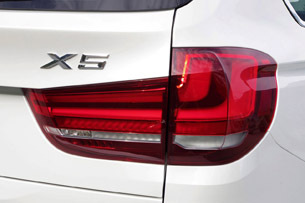 We particularly like the X5 in profile. A rising character line extends from the front wheel arches (behind which sit small air extractors) all the way to the car's rear flanks. This line is joined by another crease that serves to make the rear wheel wells look wider and more aggressive. 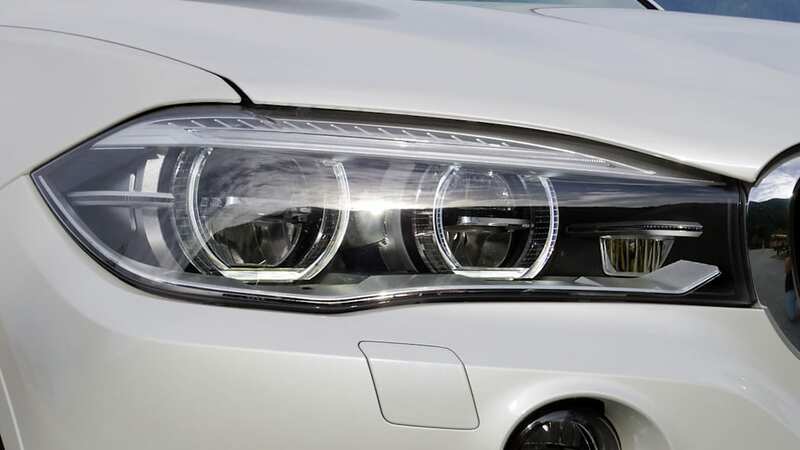 We think it works rather well, and it further serves to reinforce BMW's keen desire to play with light and shadows in its styling. While lighting clusters at all four corners stretch well into the bodywork, the taillamps are perhaps the most interesting. 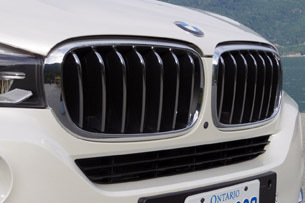 Hockey-stick light bars lead the eyes to follow the broad horizontal bulges of the tailgate, with a large BMW emblem sitting dead center. 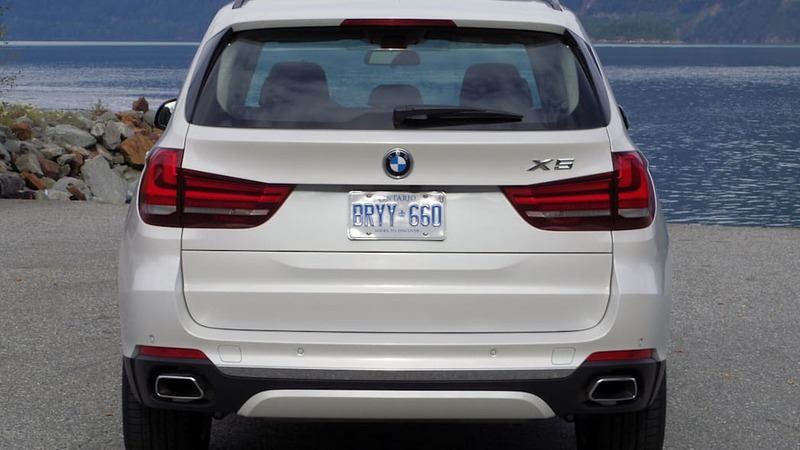 BMW is making a big deal about all of the personalization a customer can order up for his or her X5. 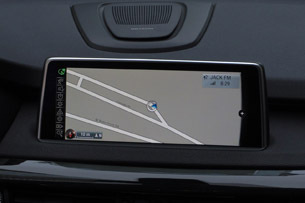 No matter where you're at in the vehicle, the prominently displayed 10.25-inch central LCD screen is visible. 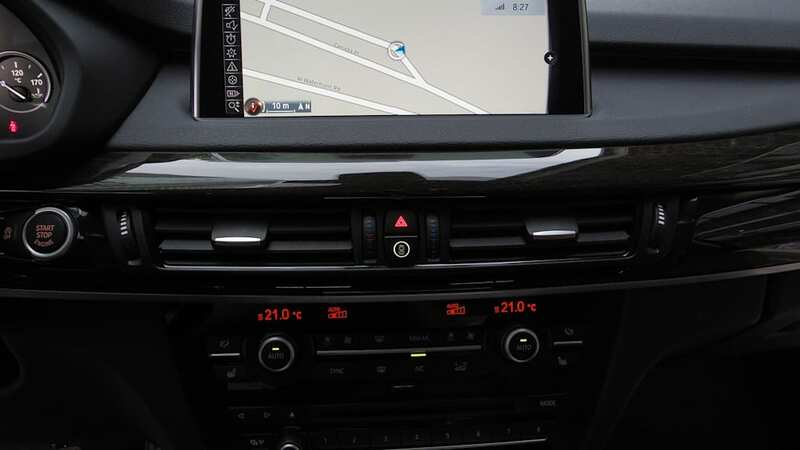 This is where you'll see all the settings for iDrive, and if your model is equipped with all-wheel drive (xDrive in BMW parlance), this screen also shows off-road data that includes body roll and pitch. 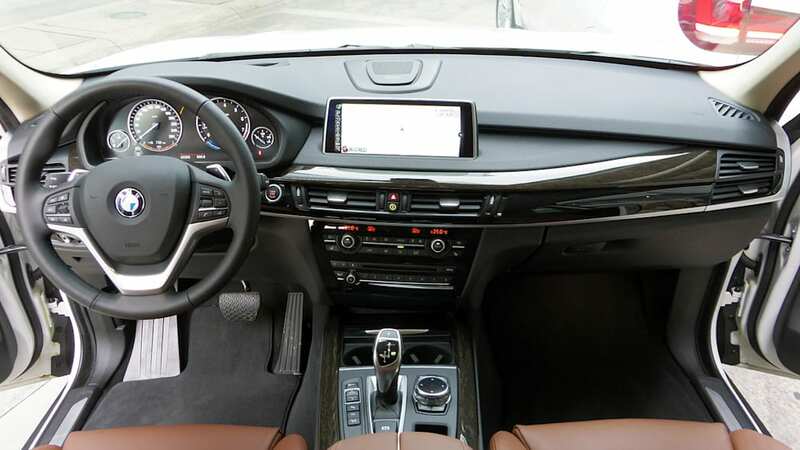 BMW Apps can be downloaded to the vehicle, and these, too, are controlled using this screen and the iDrive controller, which is optionally available with a touch-sensitive surface for character input. 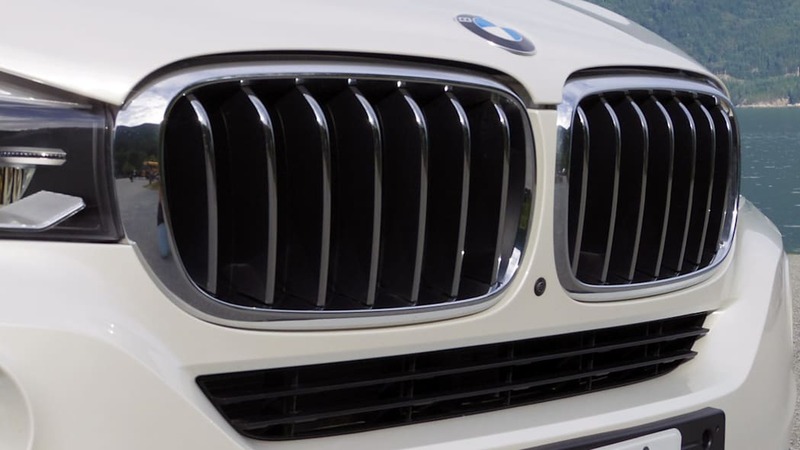 BMW is making a big deal about all of the personalization a customer can order up for his or her X5, highlighting packages like Pure Experience, Pure Excellence, Design Pure Excellence, xLine, Luxury Line and M Sport. Between these, a buyer can go full luxe, full sport or somewhere in between. 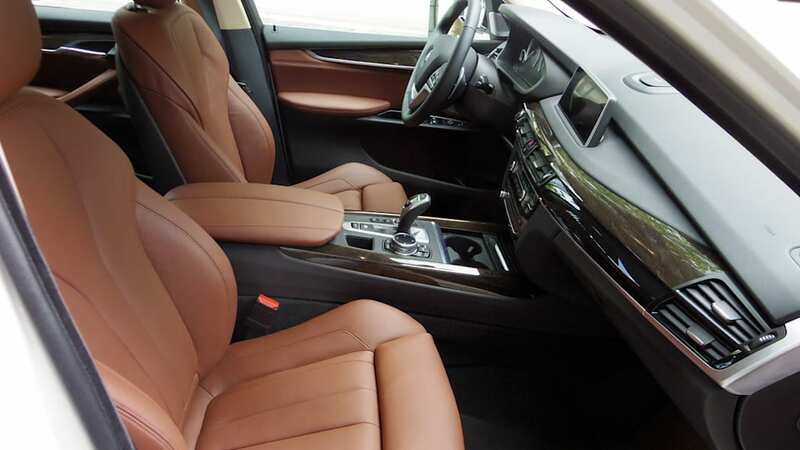 We tended to prefer the higher-end interior finishes, not surprisingly, which include Nappa leather in a variety of hues to go along with a few real wood options – our favorite was the Ivory White package. 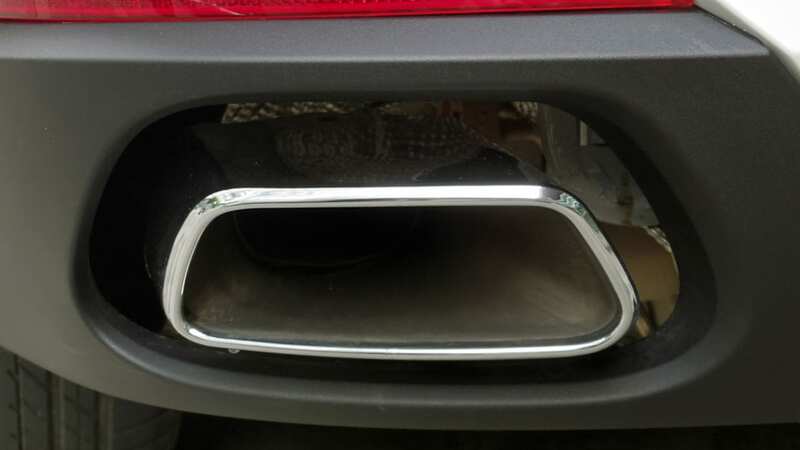 We'd avoid most of the exterior packs that include "stylistic underbody protection elements," which basically means fake skidplates, as they look disingenuous on a utility vehicle that has zero chance of using them. 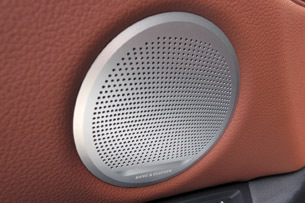 There is a standard audio system, but we never got to see it. 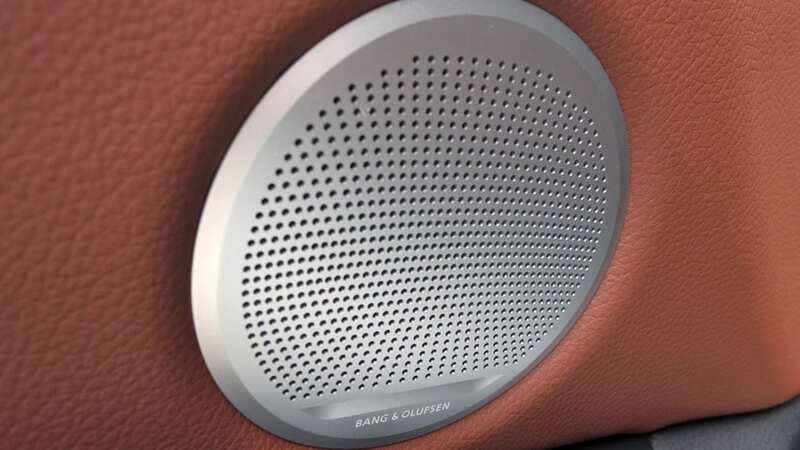 Instead, all the X5 models available to us on our test drive were equipped with an optional system, of which there are three – a hifi loudspeaker, a Harmon Kardon surround sound system or a Bang & Olufsen high-end surround sound system that boasts 1,200 watts of power and 16 speakers, including one that pops out of the center of the dash when the unit is switched on. 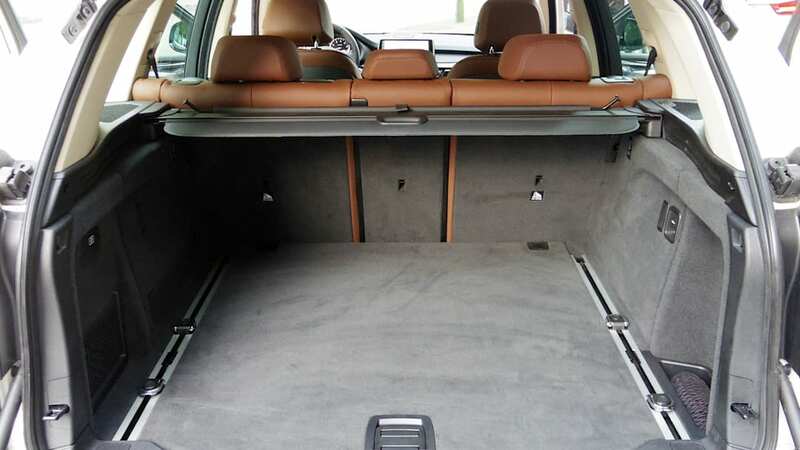 Cargo area has grown by seven percent for 2014, with 23 cubic feet available when the second-row of seats are in place, and as much as 66 cu-ft with them folded flat. 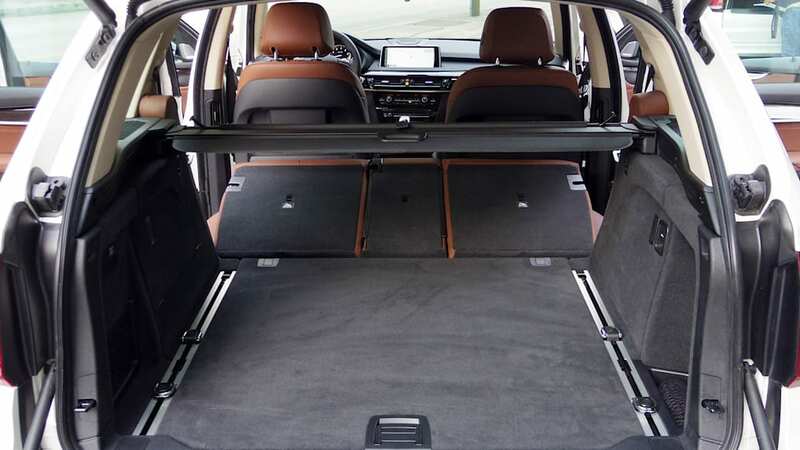 The shape of the cargo opening allows for easy loading and unloading, and BMW is continuing to use its two-piece tailgate with a small door that swings down and a larger power door that swings up. The optional Lane Change Warning was particularly intrusive. 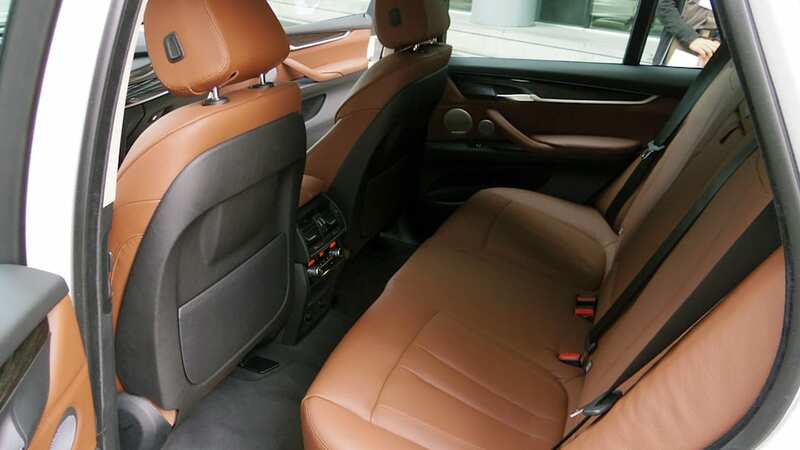 As with most any modern car, the 2014 BMW X5 is equipped with a plethora of safety features, many of which are active. 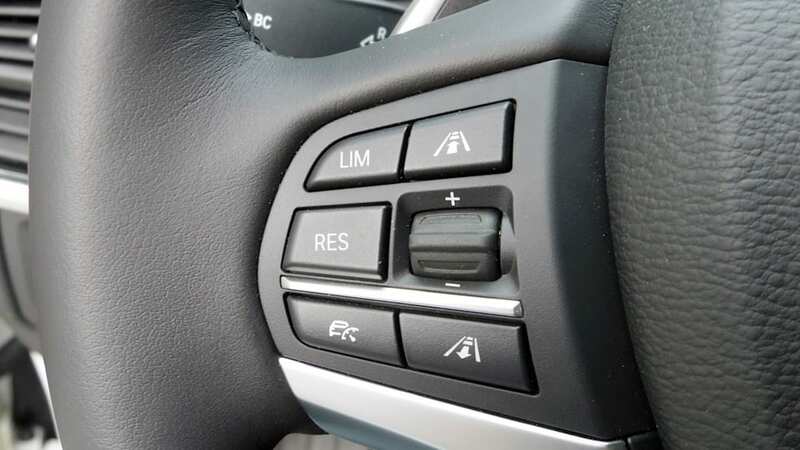 There's an optional Driving Assistant package that includes Lane Departure Warning and a collision warning (other vehicles or even pedestrians) system that can apply the brakes for the driver at speeds of up to 37 miles per hour. 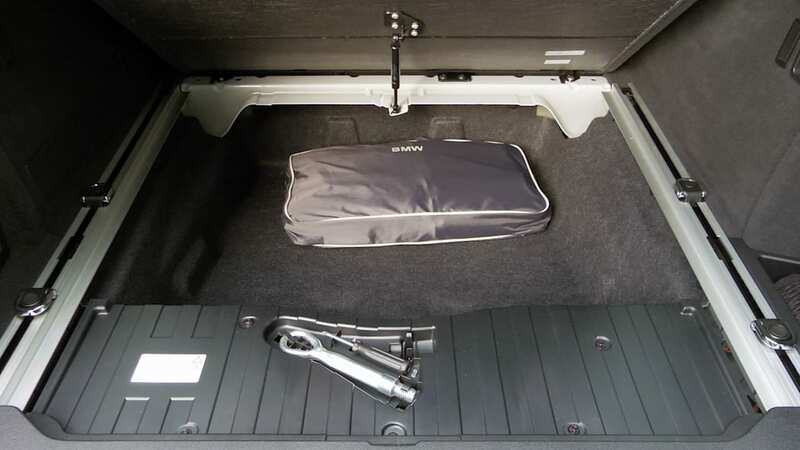 Step up to the Plus package and you'll also get Active Cruise Control with Stop & Go, which maintains a speed and distance from cars in front, and later this year, a Traffic Jam Assistant will even keep the vehicle centered in its lane. The age of semi-autonomous driving is upon us. 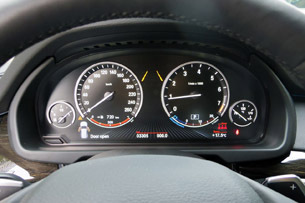 Other available tech-centric bits worth mentioning include Adaptive LED Headlights and anti-dazzle High Beam Assistant that keeps your X5 from blinding other motorists and Night Vision with Dynamic light spot, which detects "people, sizeable animals and other heat-radiating objects" and highlights them on the central display. 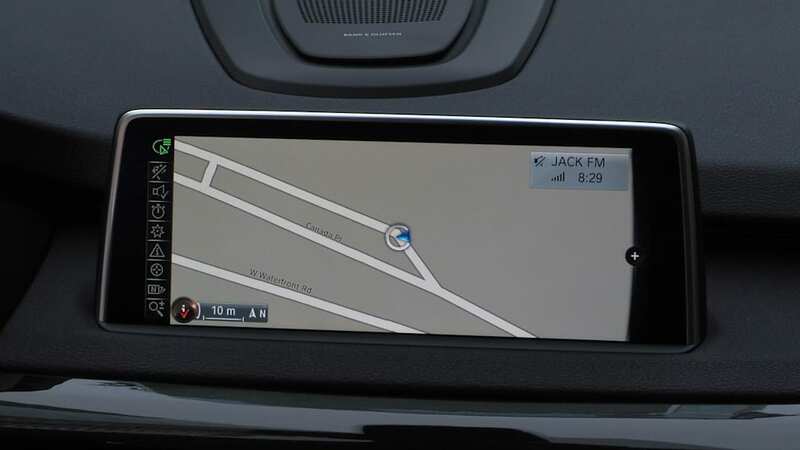 Finally, Parking Assistant can locate and navigate the vehicle into tight parallel spots and a 360-degree Surround View camera system shows the car's surroundings from every angle to the driver. All of these systems worked as advertised during our testing. 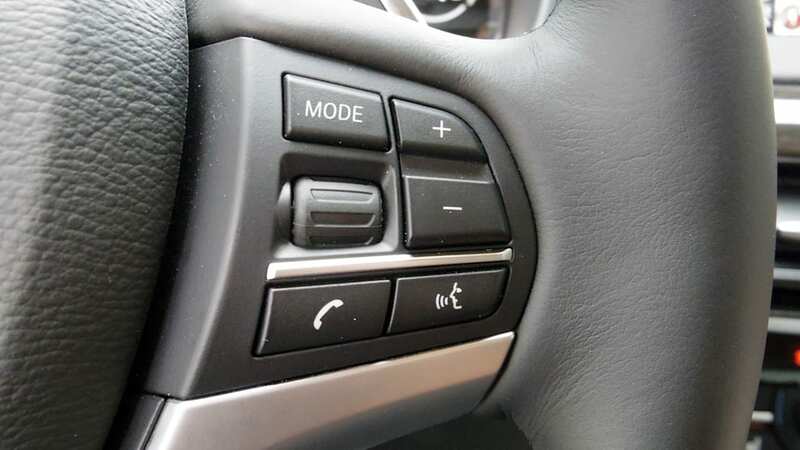 However, the optional Lane Change Warning was particularly intrusive – the steering wheel would vibrate annoyingly when the vehicle even began approaching a lane marker, even if there was plenty of space in the lane. 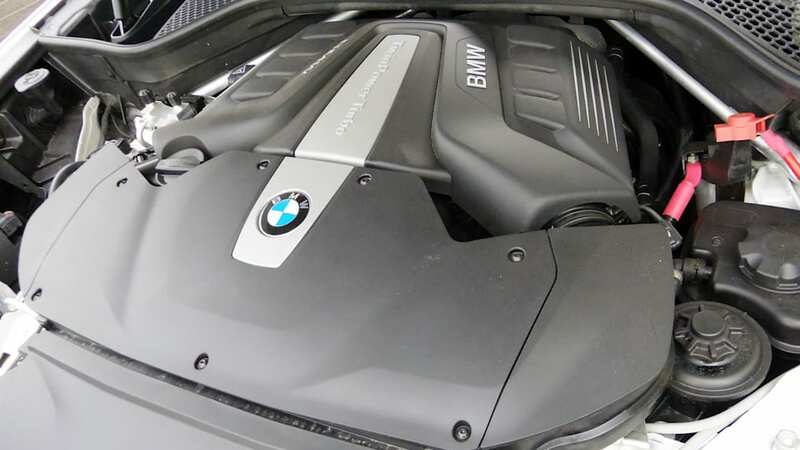 We weren't able to sample a new X5 with BMW's well-liked twin-turbo inline six-cylinder engine, but our impressions with the previous generation tell us that its 300 horsepower and 300 pound-feet of torque will move the X5 with pleasing amounts of thrust, especially with the 2014 model's standard eight-speed automatic transmission, 200-pound weight reduction and slipperier aerodynamics (BMW quotes a coefficient of drag of 0.31 – the same as its old 850i coupe). This engine ought to be more than adequate for the vast majority of buyers, providing a claimed 0-60 run of 6.2 seconds. 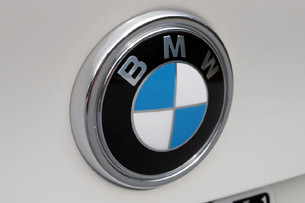 BMW quotes a 0-60 time of 4.9 seconds, which is a 0.4-second improvement over its predecessor. 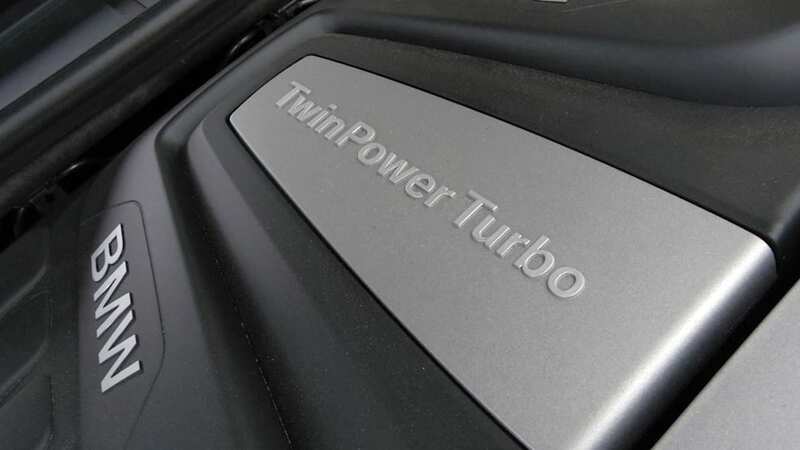 What we were able to test was the updated 4.4-liter TwinPower Turbo V8 with its 445 hp and 480 lb-ft of torque. These figures represent an increase of 45 horses and 30 lb-ft over the already strong engine it succeeds. 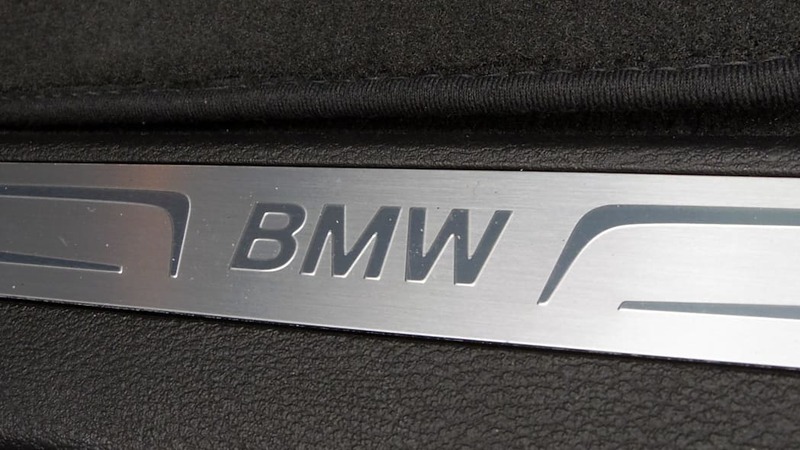 BMW quotes a 0-60 time of 4.9 seconds, which is a 0.4-second improvement over its predecessor. 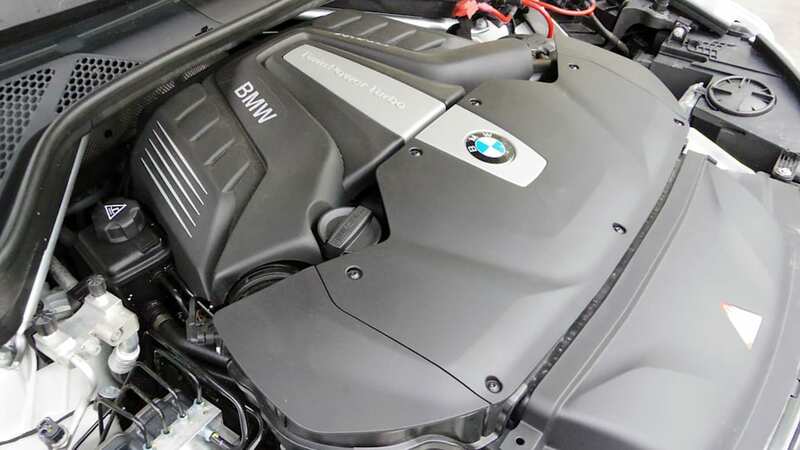 We're big fans of this engine and its power delivery. A potential demerit, however, is the booming note that reverberates through the cabin when the engine is under load below 3,000 rpm or so. 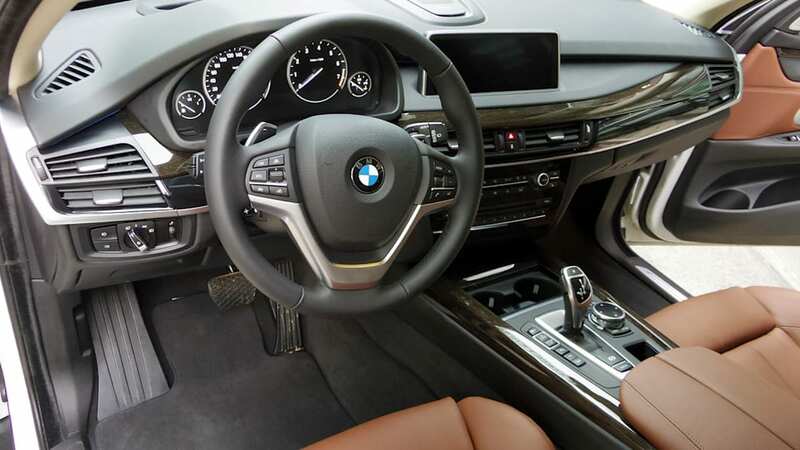 Once spinning freely in the upper reaches of its powerband, the X5 xDrive50i sings a lovely song, so we suggest using the steering wheel-mounted paddle shifters when the bass begins concussing the cabin. 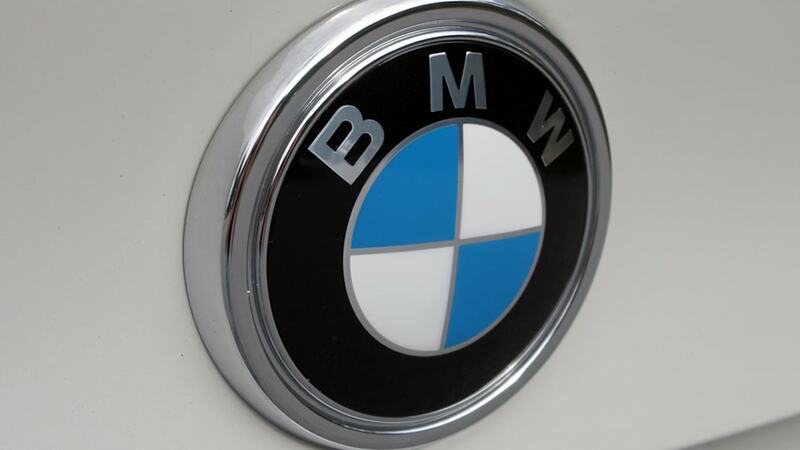 Returning for 2014 is BMW's 3.0-liter turbodiesel engine, which in the US is rated at 255 hp and 413 lb-ft of torque. 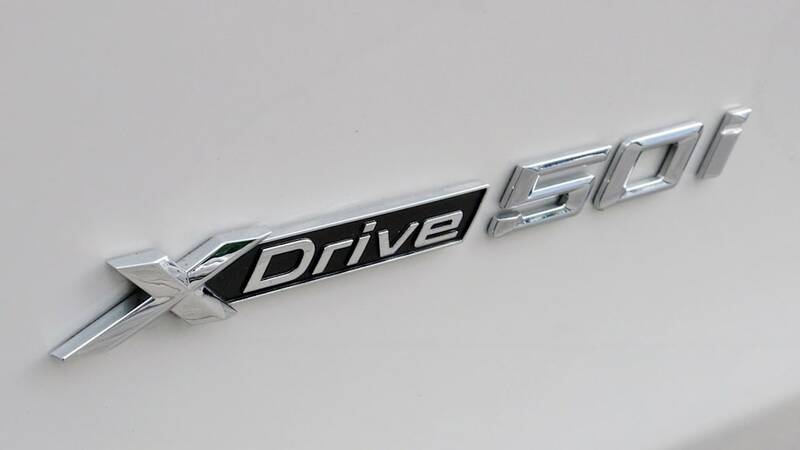 All that torque makes the X5 xDrive35d feel plenty peppy, especially at sub-highway speeds as the torque plateaus between 1,500 and 3,000 rpm. 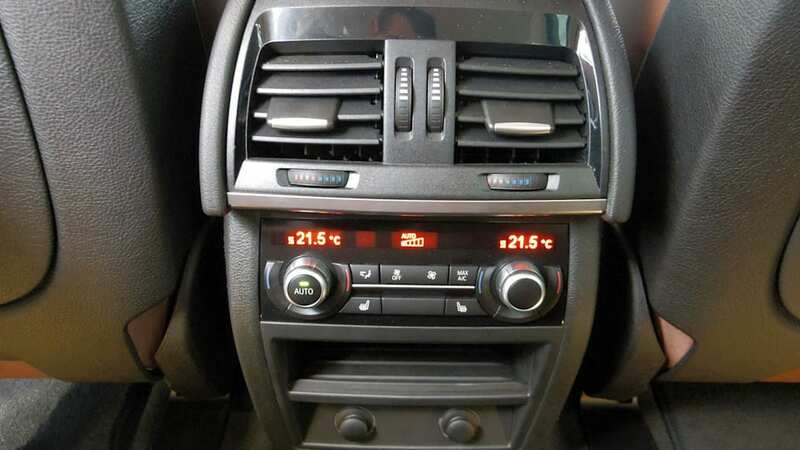 BMW engineers have done a good job keeping the diesel motor isolated underhood, as there aren't any unpleasant sounds or vibrations making their way into the cabin as the engine torques itself away. This engine's run to 60 is quoted at 6.9 seconds. We've sampled BMW's Dynamic Handling system in the past, and it does amazing things. If there is a plethora of safety features (and there is), there's a veritable cornucopia of technologies devoted to the chassis. 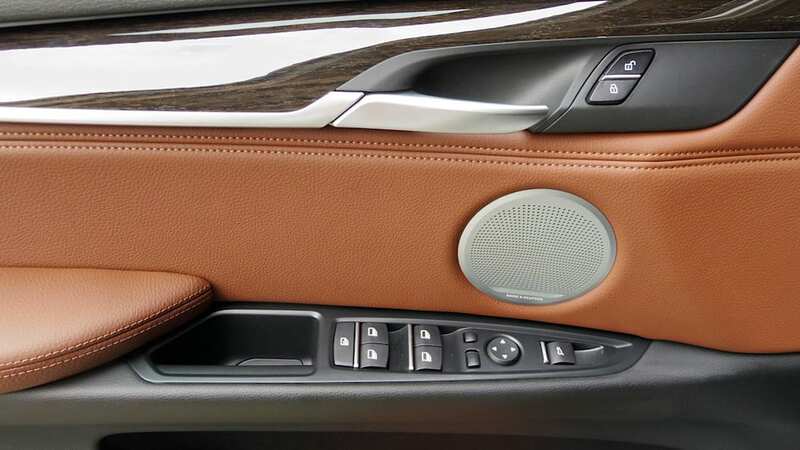 A console-mounted Driving Dynamics Control switch allows the driver to switch between Comfort, Sport, Sport+ and Eco Pro modes, with the two Sport modes ratcheting up the X5's reflexes in a successively more extreme manner. 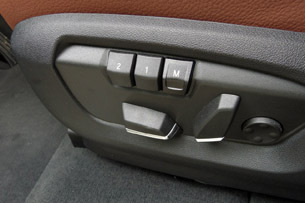 The driver's actions on the gas pedal and steering wheel quicken and the transmission shifts more quickly. If equipped with Dynamic Damper Control, the suspension stiffens, and if the buyer splurges for Dynamic Handling, the system also combats body roll more aggressively. Damper Control also includes self-leveling rear shocks. 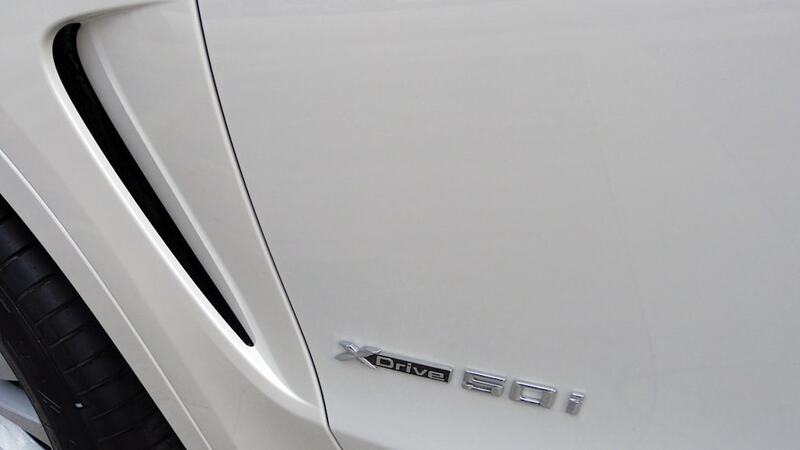 All X5 models are equipped with Electronic Power Steering, and an Active Steering setup is optional. 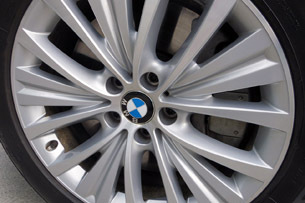 The latter can vary the amount of assist and changes the effort required to turn the wheel depending on the speed of the vehicle. 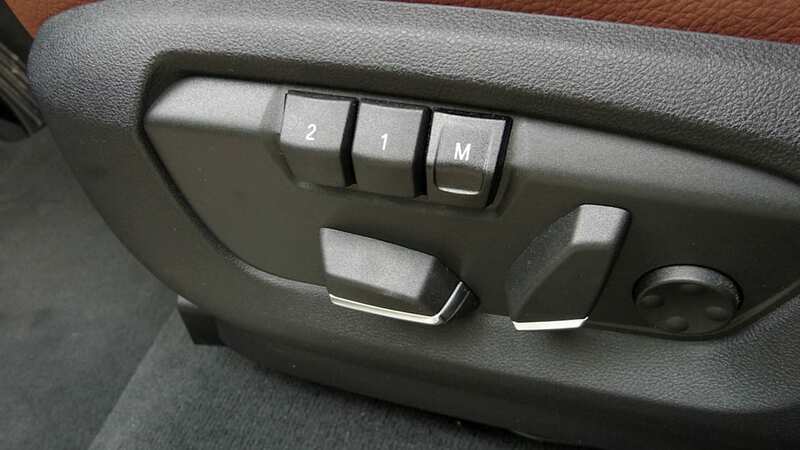 Put more simply, it makes parking-lot maneuvers easier while keeping the steering firm at high speeds. 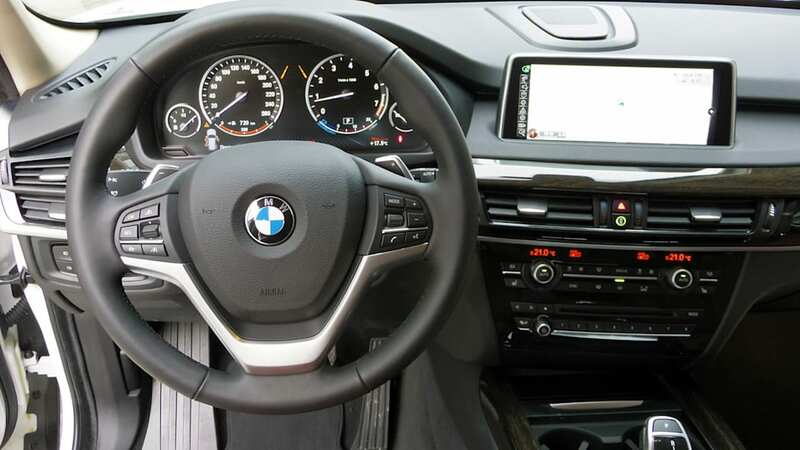 We didn't note any particular problems with the way the electronically assisted steering felt, and we did note a firmer feel when the X5 was put into Sport or Sport+ modes, but even its base setting is on the sportier side of the crossover realm. 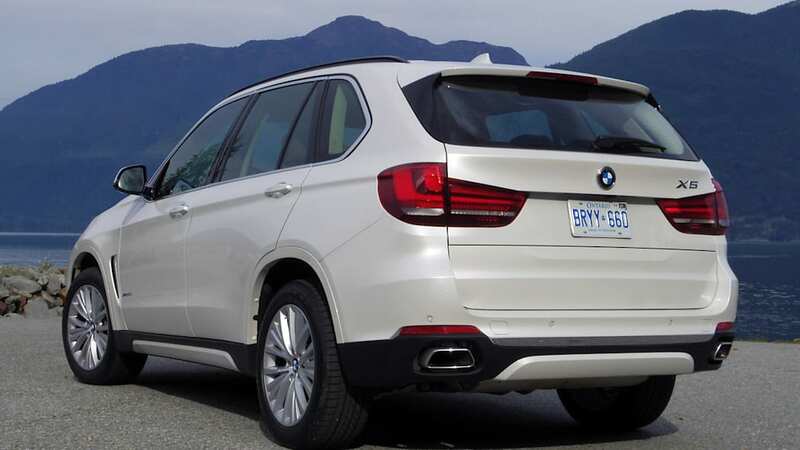 The same can be said for the X5's ride, which has been softened a bit for the 2014 model year. Revised suspension geometry is said to better handle small bumps, and that's a good thing, especially since firmer settings are a mere button press away. We've sampled BMW's Dynamic Handling system in the past, and it does amazing things that don't seem mathematically possible when it comes to controlling body motions in hard turns, to the point that it actually feels unnatural on normal roads. On a track, however, such technology would truly come into its own... for those very few that might actually enter their large utility vehicles in a trackday event, that is. 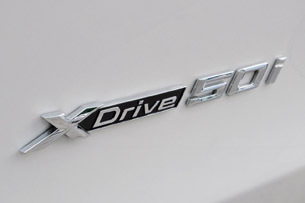 We also took a 2014 X5 with the diesel engine off-road, and we were genuinely impressed with the xDrive system's ability to send torque to the wheel with the most traction, as it did its best SUV impression pulling us through some muddy ruts and holes. If your idea of going anywhere looks anything like the Rubicon Trail, look elsewhere; at the other extreme, if you really hate slowing down for those annoyingly harsh speedbumps, you'll be in good shape. And those active lifestyle folks we hear so much about? Well, they will have just the right amount of ground clearance and traction to get to the mountain bike trails, faraway picnic destinations and beachside hideouts that marketing folks tell us they so longingly crave. The SAV did its best SUV impression pulling us through some muddy ruts and holes. Braking performance was quite good, easily hauling the 4,800-pound machine down from speed, aided by a slew of acronyms that include ABS, CBC (Cornering Brake Control), DBC (Dynamic Brake Control) and ADB-X (Automatic Differential Brake). Not enough for you? Well, it also has such things as Brake Assist, Brake Standby, Start-Off Assistant, Fading Compensation, Brake Drying, trailer stability control and Hill Descent Control. We put that last one to the test off-road and found it to be a bit hyperactive on less-than-super-steep grades, but quite reliable when pointed far enough downhill that your seatbelt is the only thing keeping you from kissing the steering wheel. 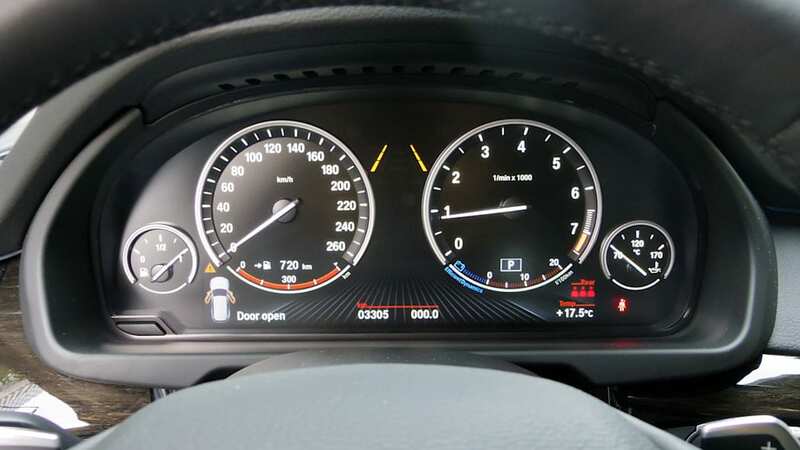 We also sampled Eco Pro mode, in which BMW says the "engine management, accelerator response and transmission characteristics are systematically tailored to support a particularly fuel-efficient, low-rpm driving style." That's a perfect description, and if it doesn't make sense, just know that it dulls every sensation that the driver may feel when operating an X5 for the sake of maximum fuel efficiency. 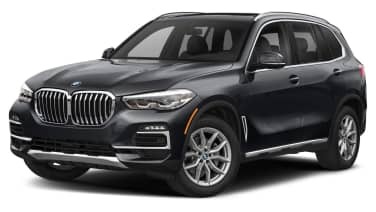 It's a technology-rich system that boasts the ability to decouple the drivetrain to allow the X5 to coast at speeds between 30 and 100 mph, and the navigation system is programmed to suggest the most efficient route and even tells the driver when to take his foot off the gas. 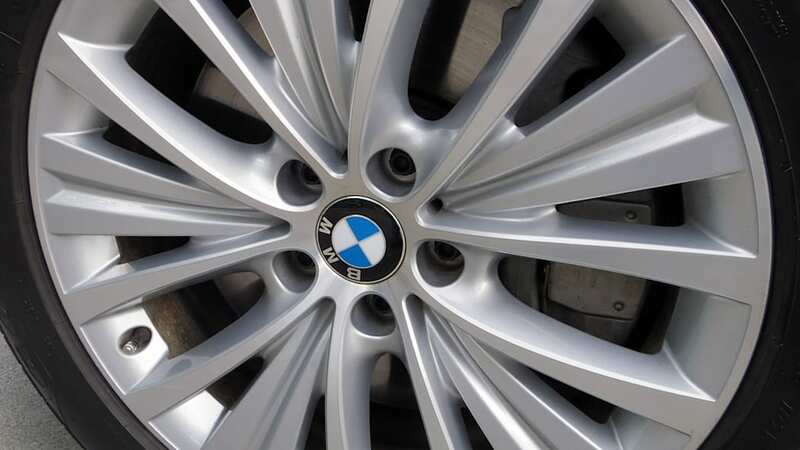 It's a testament to the seriousness with which BMW goes about its business that equal attention is paid to Eco Pro mode as Sport+ mode, and this is the reason why automotive enthusiasts have historically been so attracted to machines from the German automaker. 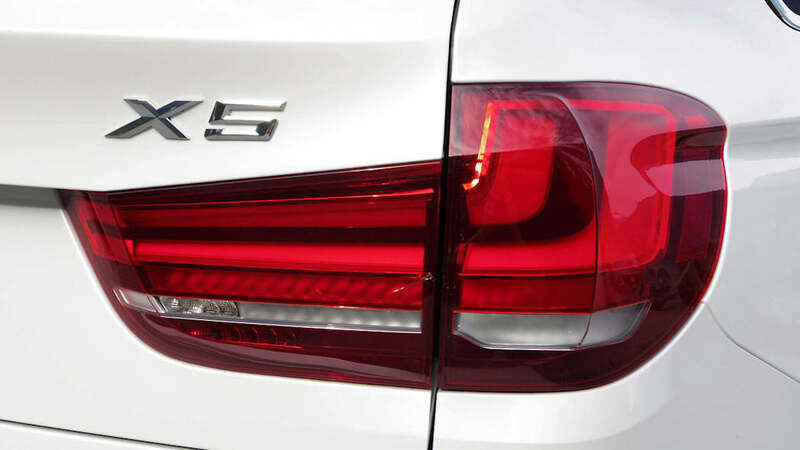 Better, faster, lighter, more efficient – these adjectives all apply to the 2014 BMW X5. Here's another number: $7,600. That's the price increase between a 2013 X5 versus a 2014 X5. 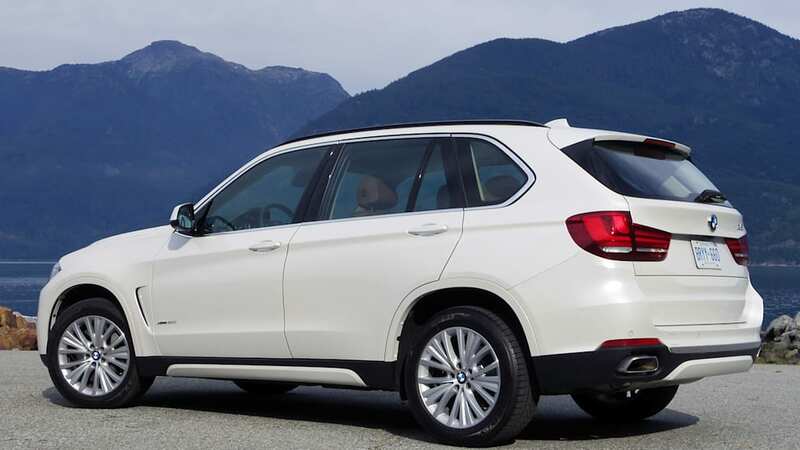 Of course, it's also never been more expensive – BMW has announced that the 2014 X5 will carry a base price of $53,725 with standard rear-wheel drive (a first for the X5, by the way, as all models before 2014 were all-wheel drive). 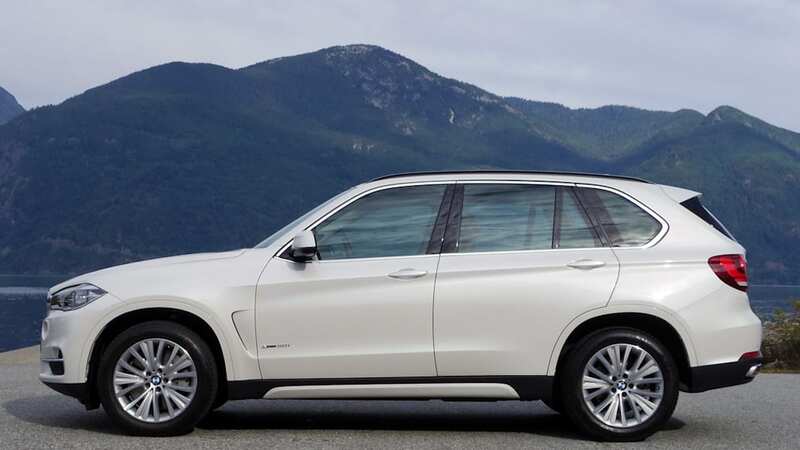 An AWD X5 xDrive35i will begin at $56,025. Another $1,500 will buy you the diesel engine, and its greater fuel efficiency – for which EPA numbers are not yet available – may make that a wise investment. 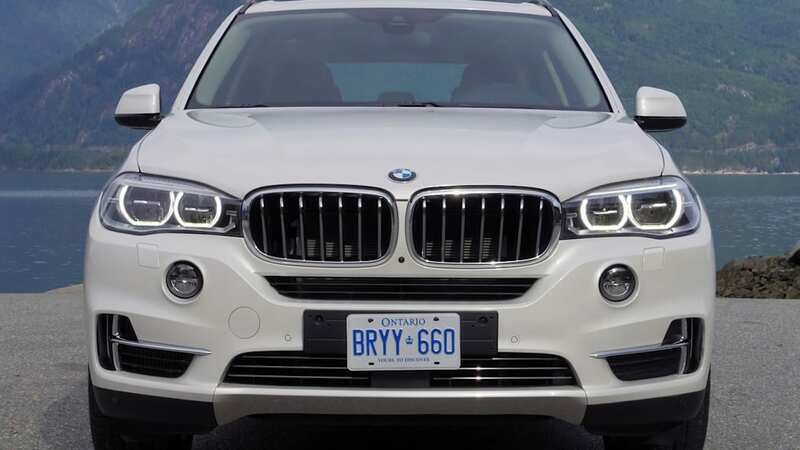 Stepping all the way up into a base TwinPower Turbo V8-powered X5 xDrive50i will gouge your wallet to the tune of $69,125. But those are just numbers without something to compare them to. Here's another number: $7,600. 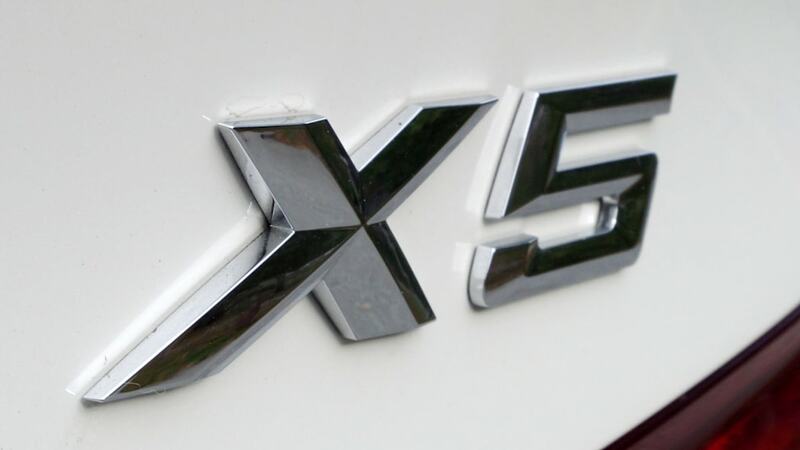 That's the price increase between a 2013 X5 versus a 2014 X5, assuming both are equipped with the base turbocharged six-cylinder engine and all-wheel drive. It's similarly more expensive than established competitors like the Mercedes-Benz ML350, Audi Q7 and Land Rover LR4, all vehicles of which we're also rather fond. 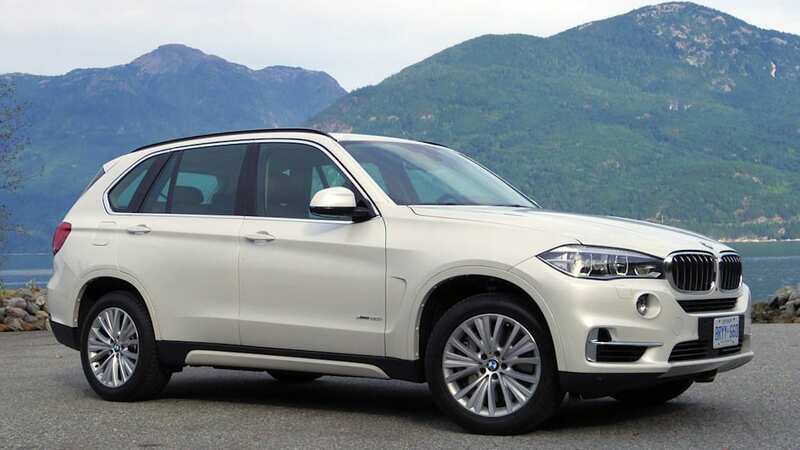 So we've established that the 2014 BMW X5 is a very nice vehicle, and that it's seemingly overpriced when compared to its rivals. The big question remaining is this: Is it worth it? Price aside, it's still the leader of its class and it's never been better. Is that enough for you?